Already for couple of years, weekend before Kranj is 'reserved' for national cup at Škofja Loka. Event is always great too! Similar hight wall, covered with lot of volumens is also good preparation for last lead world cup next week. 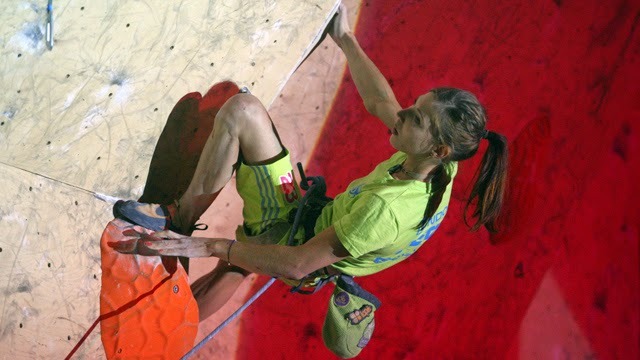 I was happy, that in both, qualifiction and final, I climbed well and reached the top. Well, or I just thought so :). WC in Kranj - perfect end of season!